Type: (juvenile plant with pubescent spines). Typical specimen for the characters not shown by the type, the adult features of the plant: "Pleasant Valley, White Pine County, Nevada, Kern Mountains," Woodruff 20 May 1970, Pom; 317913 (MO). 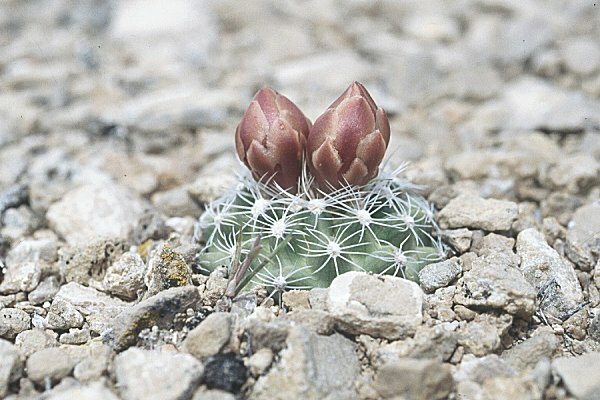 Echinocactus pubispinus Engelmann, Trans. Acad. Sci. St.Louis, 2:199, 1863. 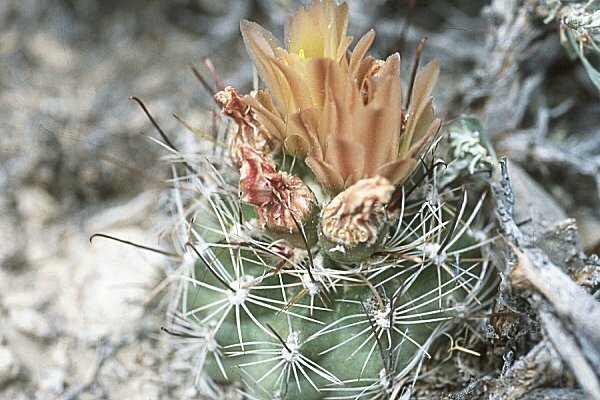 Pediocactus pubispinus (Engelmann) Arp, Cact. & Succt. J. (US), 44:222, 1972.
fh 103.1.1, Desert Range Experimental Station. fh 103.1.5, Lincoln Co., 1,870 m.